Nearly everyone who wears glasses or contact lenses has probably thought about Lasik eye surgery. Lasik surgery allows the patient to stop using corrective lenses. 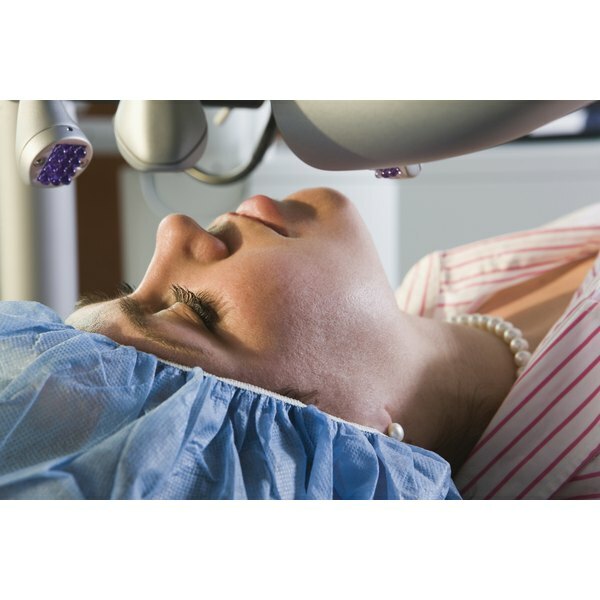 While the track record of Lasik surgery is quite good, risks are involved. Lasik surgery can provide a major change for the better in an individual's lifestyle. After the procedure, visual acuity is known to improve by almost 90 percent. The procedure can be accomplished in a matter of minutes and the recovery is quite quick. The improvement in vision is noticed almost immediately after the procedure is done. That allows the opthamologist to perform the procedure on the same day for both eyes. If the procedure is performed incorrectly, the patient will be forced to endure double-vision, halos and significant glare issues. While the procedure works well with near-sighted patients, those who are far-sighted often see their vision continue to worsen after the procedure. Do your research before you decide to go ahead with Lasik. You have every right to get the surgeon who will be operating on you to reveal his statistics. You should be able to interview him before you let him perform the act and determine whether you have confidence in him. You also need to be aware of the negative aspects of the surgery and whether you are willing to live with it. If all goes well, your vision will be significantly improved and you might be able to throw out your glasses or contact lenses. However, you must have a full eye exam before the surgery to determine whether you are a good candidate for the procedure.